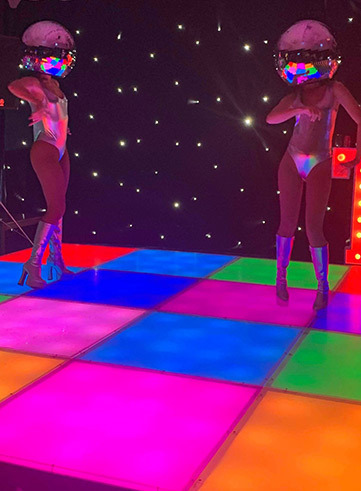 Our Disco Heads are the perfect addition to your evenings entertainment. Offering sets of meet & greet, mix n mingle and dance sets, we can cover anything you require. 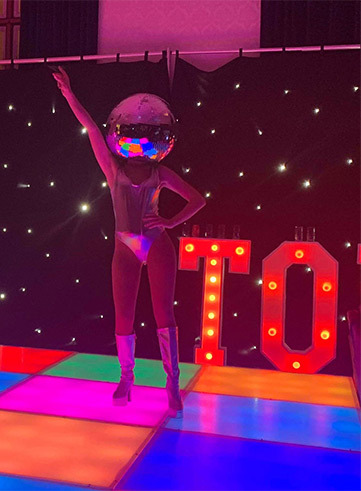 We also have a large variety of costumes to go with our disco heads to match any theme you may have. They work extremely well for 70’s & 80’s themes and are an excellent addition to club nights and festivals. Normal sets are 3 x 30 minutes. These include a set of meet & greet, a set of mix n mingle and a set of dancing or alternatively you can go with 3 x sets of dancing or 1 x meet & greet and 2 x sets of dancing. The choice is yours! A unique way to kick start a party! 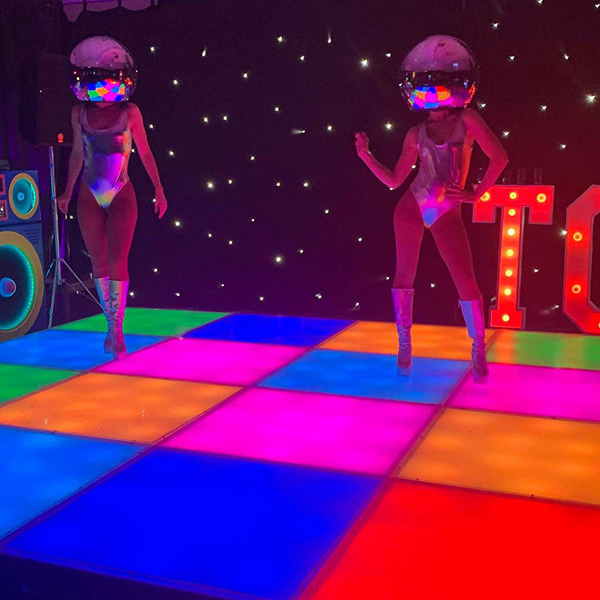 Our Disco Heads are fantastic for photo opportunities and really get the crowd dancing! 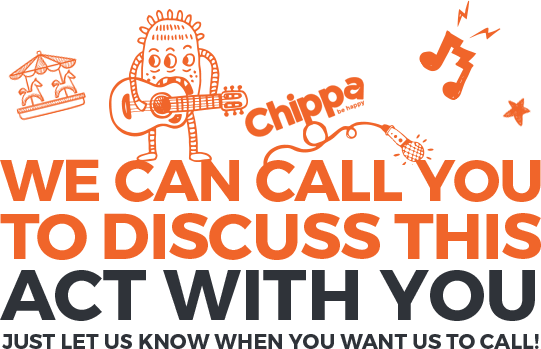 Take your party to the next level and book them for your event! Offering sets of meet & greet, mix n mingle and dancing.